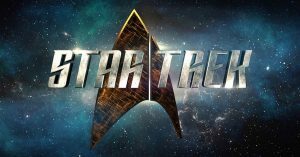 New Star Trek Animated Series Coming To CBS All Access and Beyond In International Markets. The Star Trek universe just keeps expanding! (Pun totally intended.) CBS All Access announced Thursday it’s giving a two-season order to a new series titled Star Trek: Lower Decks, which will be a half-hour animated comedy that will focus on the support crew serving on one of Starfleet’s least important ships. The series is being developed by Mike McMahan, who will executive produce along with Alex Kurtzman, Heather Kadin, Rod Roddenberry, Trevor Roth and Katie Krentz. “Mike won our hearts with his first sentence: ‘I want to do a show about the people who put the yellow cartridge in the food replicator so a banana can come out the other end.’ His cat’s name is Riker. His son’s name is Sagan. The man is committed,'” said executive producer Alex Kurtzman in a statement that helpfully explains how the oddball series came to be. CBS All Access is currently home to the original series Star Trek: Discovery, but this will be the streaming service’s first animated series. And although a half-hour comedy is a definite break from modern Star Trek storytelling, McMahan promises that it will still be “undeniably Trek” at its core. Star Trek: Discovery Season 2 premieres Thursday, Jan. 17, 2019 on CBS All Access. I’m a huge fan of the Teen Titans, but don’t watch Teen Titans Go due to its vulgar humor. I’ll sample this new Trek series, but am prepared to pass on it.